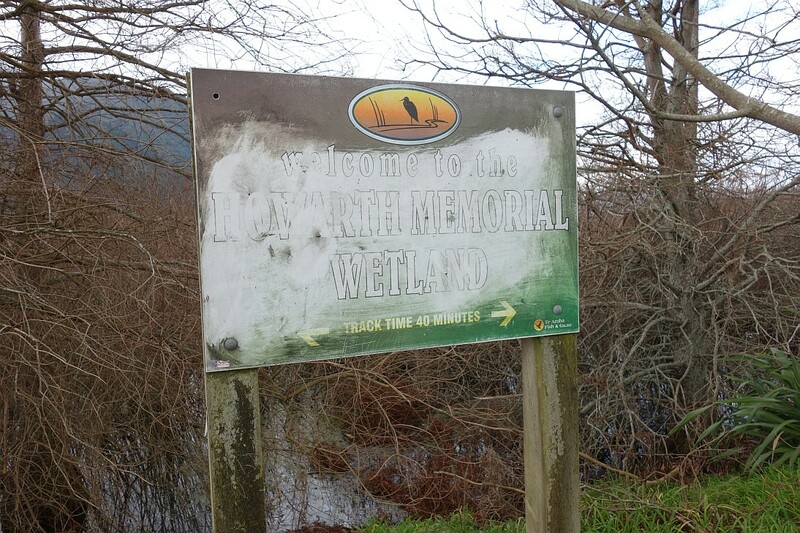 The Howarth Memorial Wetland is a wildlife reserve created in a disused former rubbish dump by the Waihou River in Te Aroha. 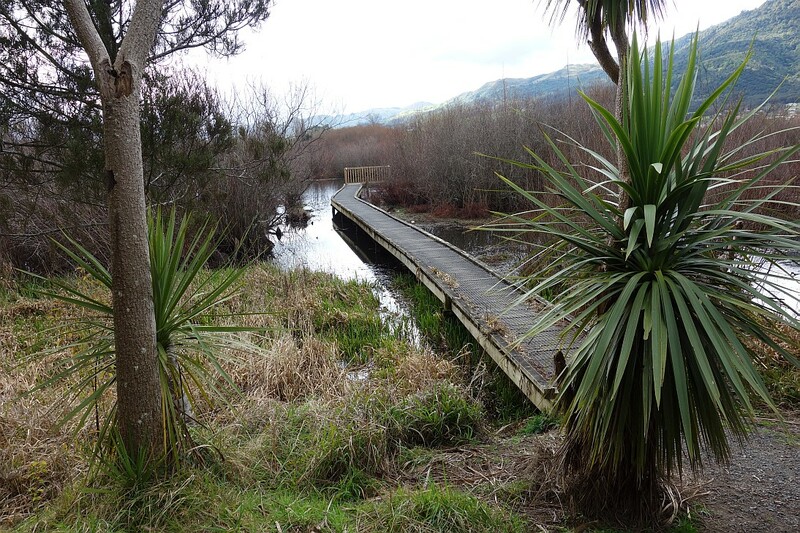 The walkway runs around the perimeter of the wetlands, and is also used by cyclists. There are several access points to the walkway. 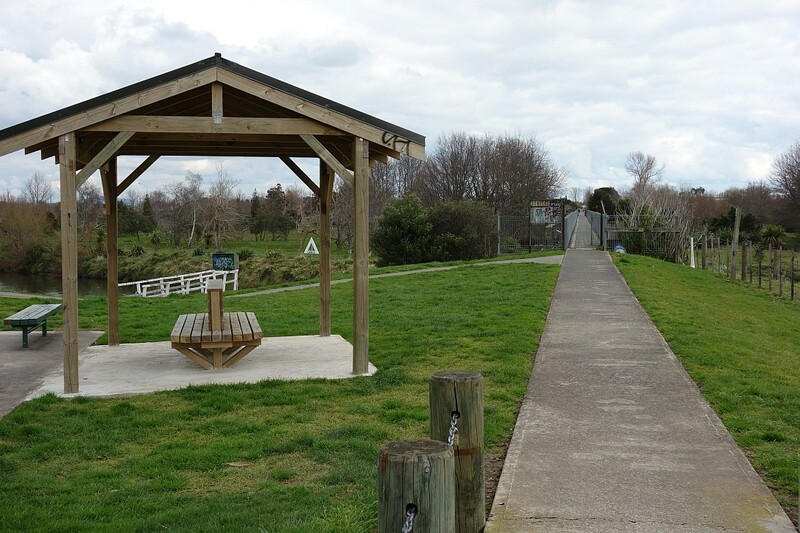 The former railway bridge off Terminus St has been converted to a walking/cycling bridge, leading across the Waihou River directly to the walkway. It’s also accessible from the netball courts on Spur St where there are also parking facilities. There is also an entry off Ritchie St, a residential street. 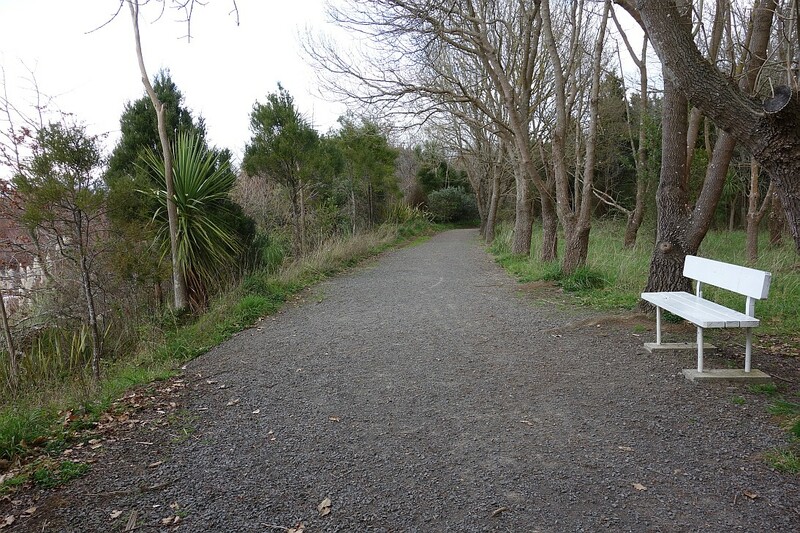 The walkway has an almost flat contour, and is just over 3 km long, including the former railway bridge. 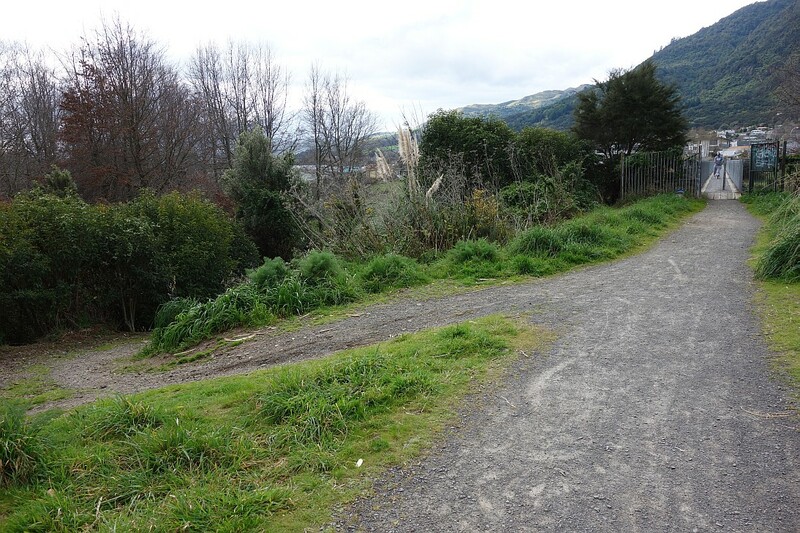 The photos show the walk in an anti-clockwise direction, starting at Terminus St. More information can be found at the Matamata – Piako District Council web site. 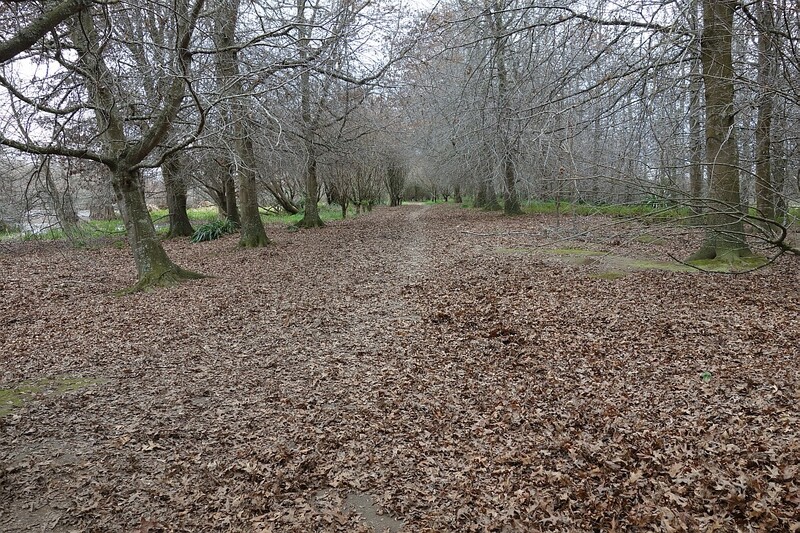 The track is maintained by Fish and Game New Zealand. 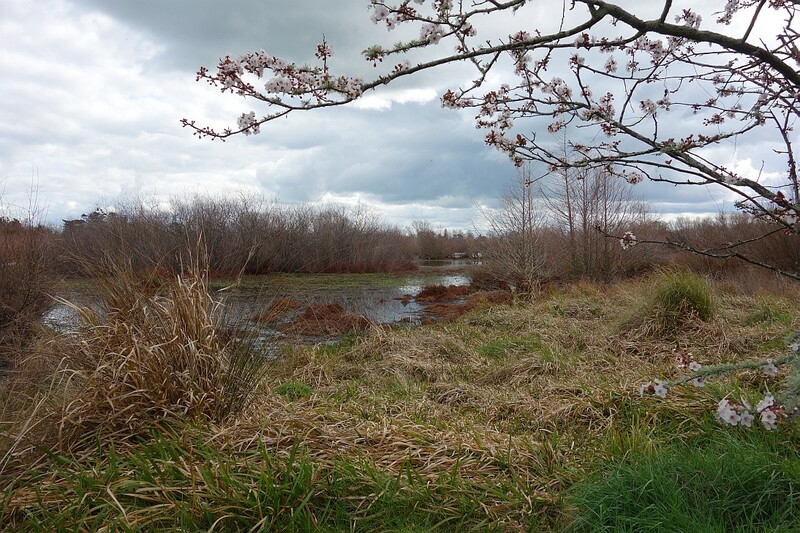 Looking from Terminus St over the former railway bridge over the Waihou River towards the wetlands. 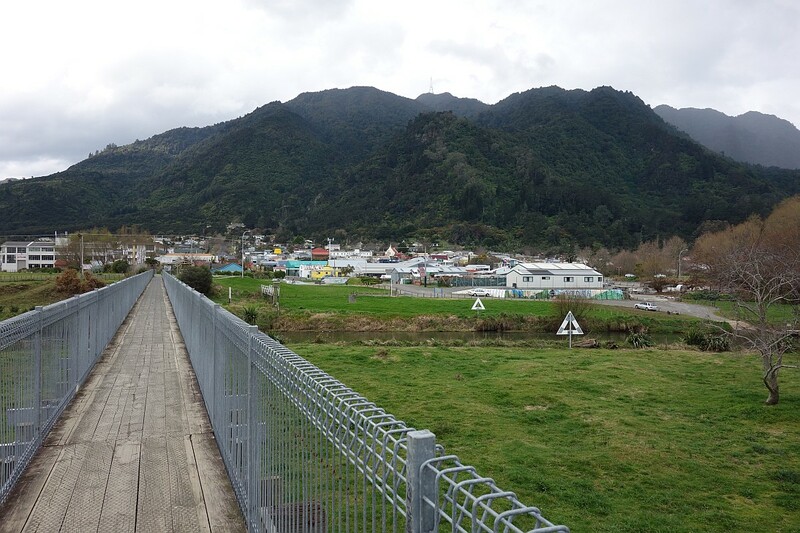 Looking back across the bridge, with the town centre and Mt Te Aroha clearly visible. 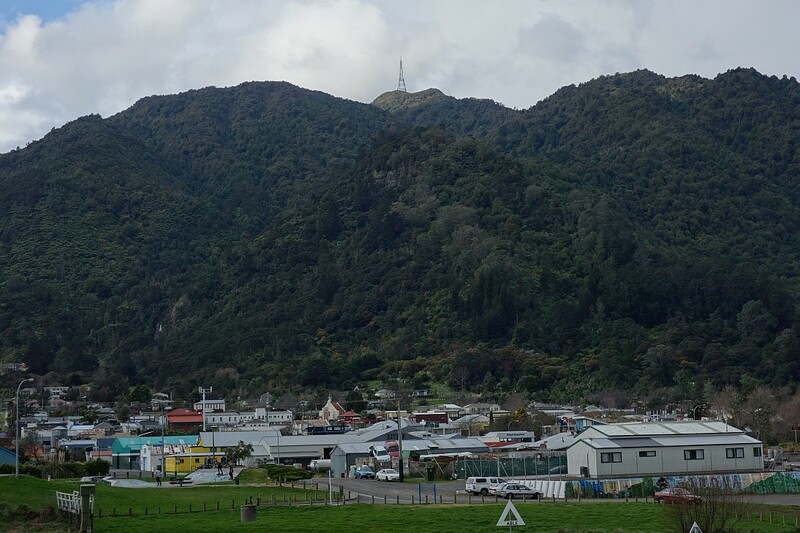 The mast on the summit of Mt Te Aroha seen from the former railway bridge. 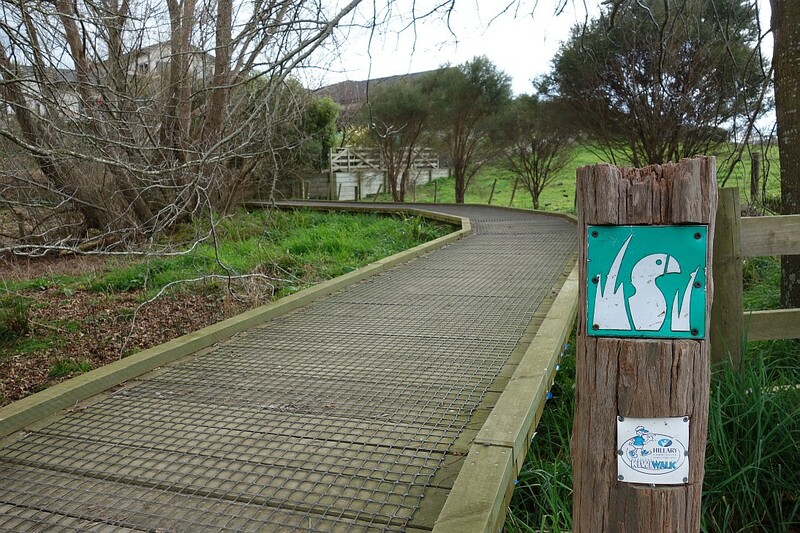 The entry to the wetland track is near the south-western end of the former railway bridge, here shown on the left. 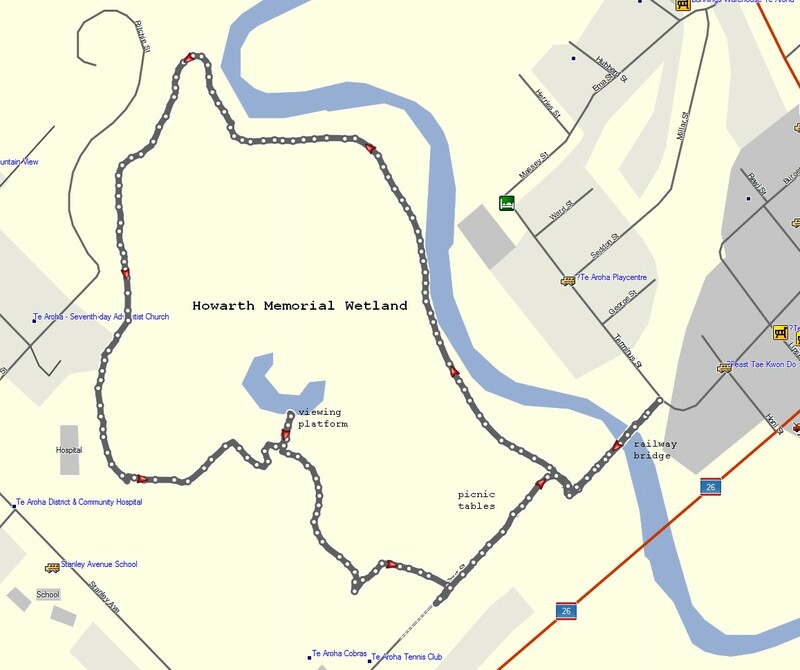 Most of the track is wide and easily walked or cycled. This walk was done in late winter. There were a few signs of springtime. 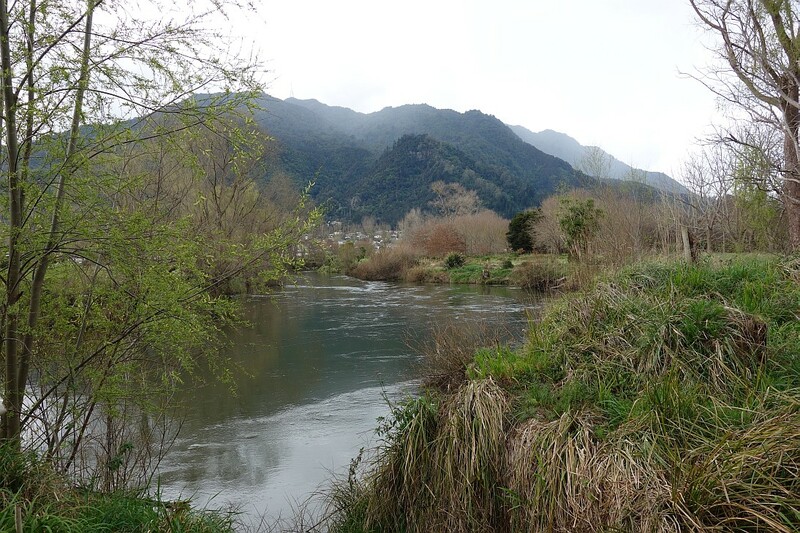 Part of the track follows the Waihou River, on a narrow strip of land between the river and the wetland. Boardwalks have been constructed across the wettest or roughest parts. This one near Ritchie St. 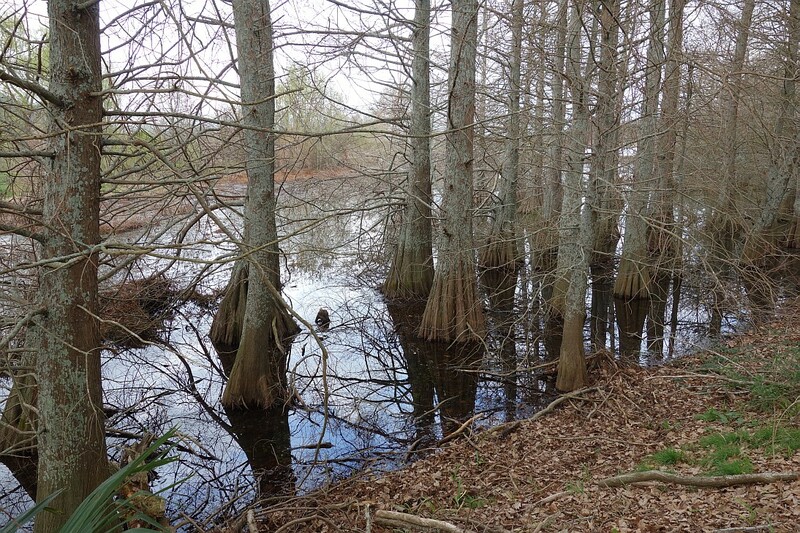 These trees seem to appreciate having their feet wet. One of the few signs indicating the name of the reserve. This one shows signs of having been cleaned after yet another graffiti attack. 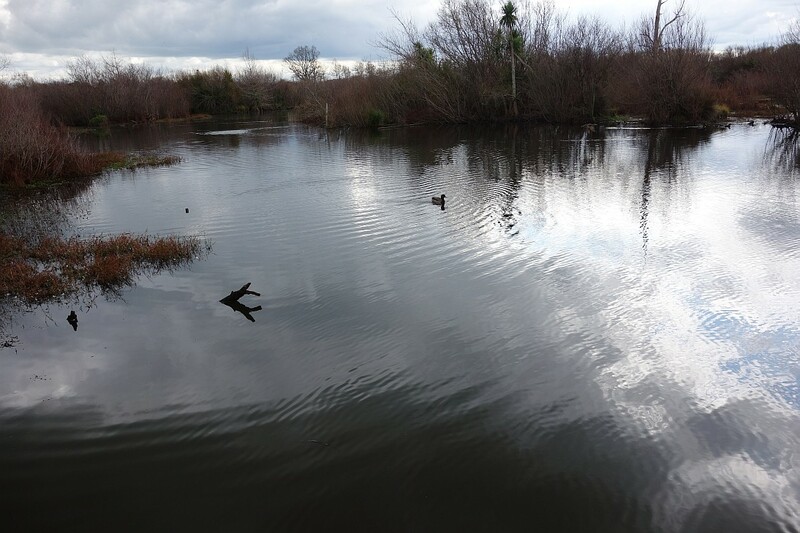 A lookout has been built in the lake, where some of the aquatic wildlife can be observed. There was little activity on the lake at this location. 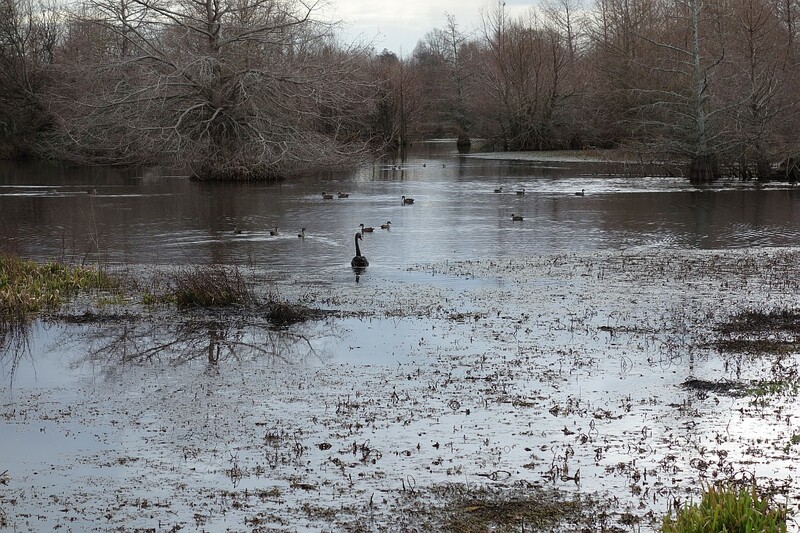 A peaceful location to take a rest on the walk around the wetland. 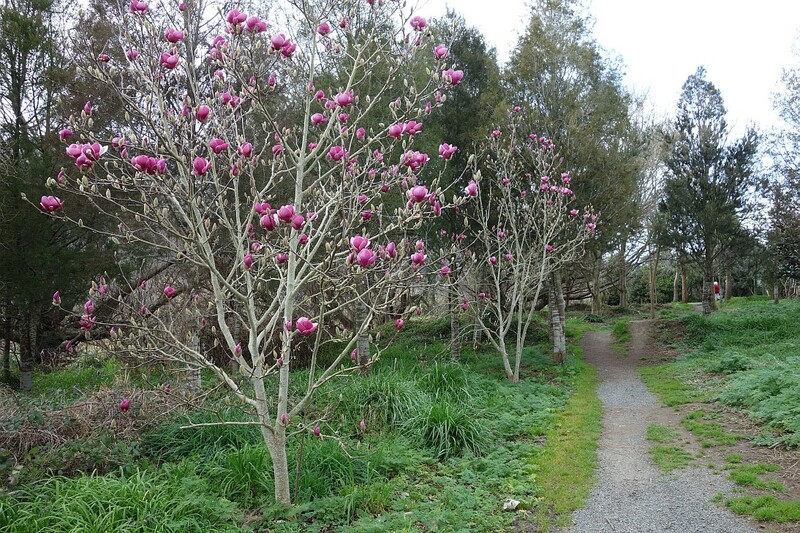 The tree magnolia were also showing signs that spring is on the way. The entry off Spur St and the netball courts. Unfortunately defaced by graffiti. 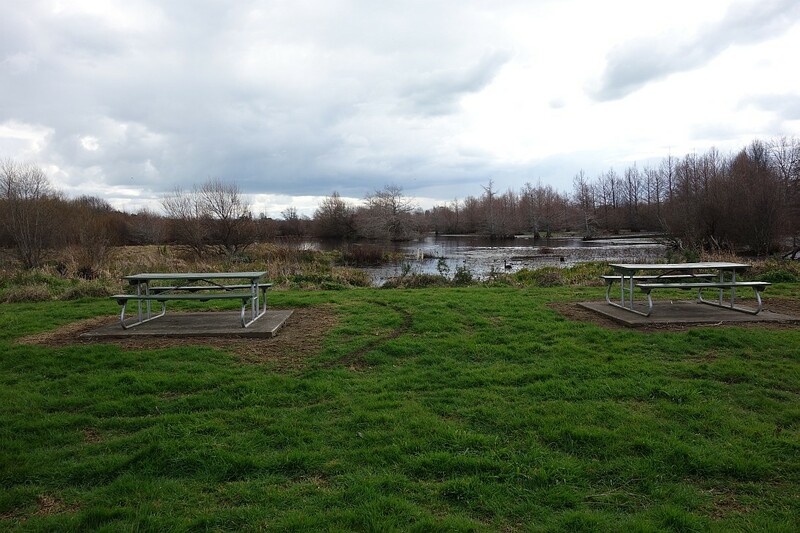 Picnic tables near the entry by the former railway bridge. Some people just can’t resist damaging the area by driving around in vehicles. There was more wildlife by the picnic table area than at the lookout. The GPS tracklog shows the location of the track and the entry points. The total walk length was 3.2 km and the total time 50 minutes. The track was walked on August 23, 2015. 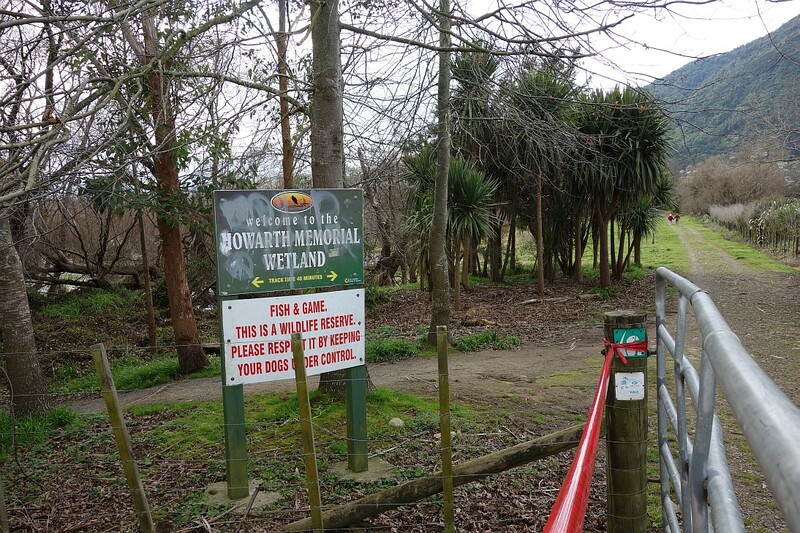 This entry was posted in Walks and tagged Howarth Memorial Wetland, Te Aroha, Waihou River on 2015-08-23 by nzartig.